S.O.S Who in the www Am I? BLANK SPACE is pleased to present S.O.S Who in the www Am I? 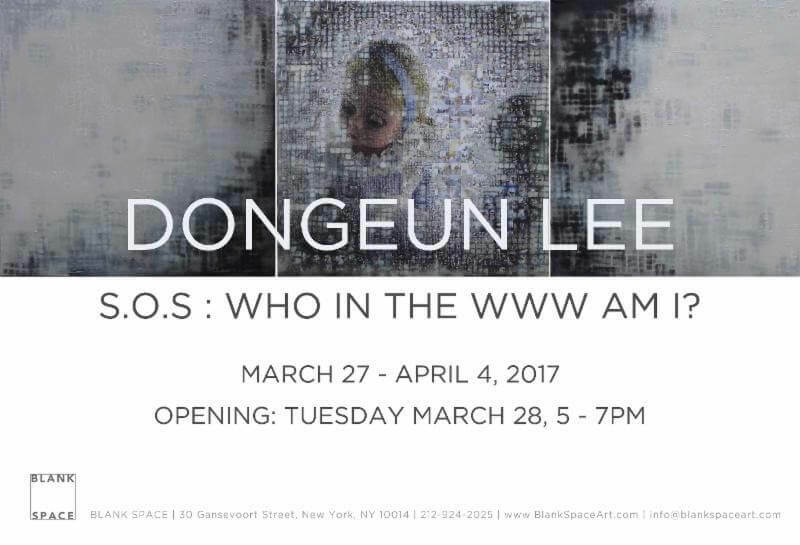 a special exhibition of London based Korean artist Dongeun Lee. In celebration of young artistic talent, BLANK SPACE has selected Dongeun Lee as this year’s emerging artist. Comprised of a seemingly incongruous series of conceptual and abstract subject matter, the exhibition is a visual decode into the artist’s inner sphere, which is shaped by issues of social identity, alienation and communication.